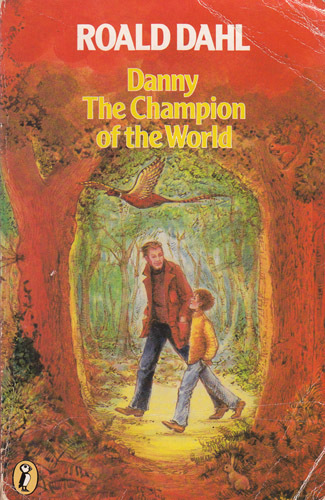 The “horse hair stopper” was made famous in Danny The Champion of the World by Roald Dahl. In the story, Danny’s dad comes home late one night after trying his hand at the dark art of poaching in a nearby wood. Danny asks what his dad has been up to and listens intently as his dad recalls how his own father had shown him two secret methods of catching pheasants. One of these was the horse hair stopper. The horse hair stopper is a raisin with a horse hair in the centre. According to the book, pheasants are mad for raisins and cannot eat enough. The theory behind the horse’s hair is that it gets stuck in the throat of the pheasant and while it tries to clear it’s throat, you can run up and grab them for the pot. Now we are not in any way advocating poaching. Or catching pheasants out of season. But as this is one of mine and my son’s favourite books we decided to give it a go. I should also clarify one thing – if you are going catching pheasants, get the landowner’s permission first. 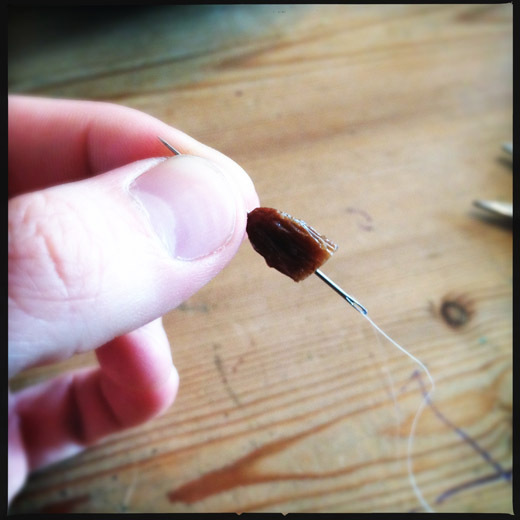 How to make the horse hair stopper. 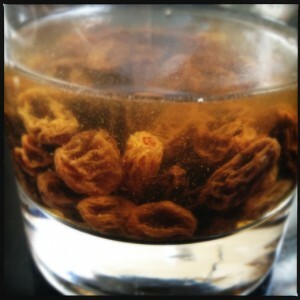 Firstly you need to soak the raisins for about an hour in boiling water so they become soft and bloated. 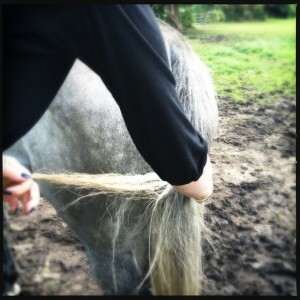 While you are doing this go and try and hunt down some horse’s tail hair. We are lucky that our friend has a race horse. So we made our excuses to go and take the children to visit her, and when we were there we took some of the loose hairs out of her tail. 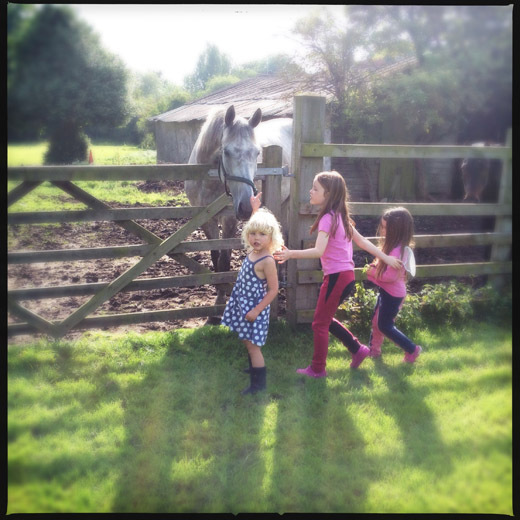 Now a quick word about horses. Be careful! We had the horse positioned side on, behind a fence and she was being fed. She was also well aware where we all were so she wouldn’t be startled, and we all talked quietly and gently. Also we didn’t so much as pluck them, more shook the loose ones out. After acquiring the horse hair cut them into half inch lengths. 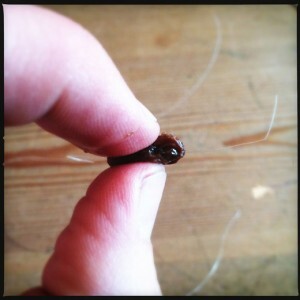 Then, using the needle, thread them into a good handful of the raisins. Put them into a paper bag and head off just before dusk to find your pheasants. You are most likely to find pheasants where they like to feed, which is in the margins of woods or along the edges of fields. We found our spot, saw some feeding pheasants and trailed the raisins along a small part. Then we retired to the edge of the field, had a picnic and waited for the action. The pheasants came wandering along and – did not pay any attention to the raisins! So back to the drawing board. Our plan next time is to use something they are used to eating, like sweetcorn or seed.